Can jewelry really help you de-stress? Let’s find out! Stress is part of everyday life. Heavy workloads, unexpected challenges, and other duties invariably come your way. And although you may not feel it at first, it can definitely take its toll on your body and mind over time. Luckily, there are loads of ways you can deal with stress, like sleeping, working out, and drinking chamomile tea. A lot of people also recommend wearing jewelry, claiming that some gemstones bring healing as much as good luck. But can jewelry really help you de-stress? Let’s both find out together! Believe it or not, wearing jewelry can help you deal with anxiety issues in certain down-to-earth ways. Take spinner rings for instance. Often referred to in Karats jewelers review and elsewhere as “worry jewelry,” they can help wearers take the edge off by serving as a useful tool in their coping mechanisms. Many spinner ring aficionados and enthusiasts claim that playing with their rings around during stressful situations clears their head somewhat, and it also helps keep their hands steady. Plus, it comes both in bright silver and gold, and they are extremely customizable to suit your tastes. Throughout history, various gemstones have been given attributes with metaphysical properties. And although Western medicine doesn’t put too much stock in their healing abilities, many around the world still do. Some of them even claim that certain gems have traits that can boost your mood. Whether these properties exist or not in gemstones is unclear. What is clear, however, is that gemstones do make its wearer feel better about themselves. This might not be due to any magical abilities on the jewelry’s part (more likely people just like the way they look with some ornaments on), but it’s more than enough at least to help anyone alleviate currently spiking stress levels. Most see jewelry as a fashion accessory, used to show off and display social status. But for many, healing jewelry are used for far more than that. According to them, it’s a tool that helps bring out the best version of yourself, allowing you to develop your gifts and pursue your life’s purpose as well as overcome internal struggles and defeat boundaries. It can also aid you when you want to avoid or deal with stressful situations, allowing you to stay on top of things despite overwhelming feelings and anxiety. So back to the question. Does jewelry or wearing them help someone de-stress? The answer is: In some ways. 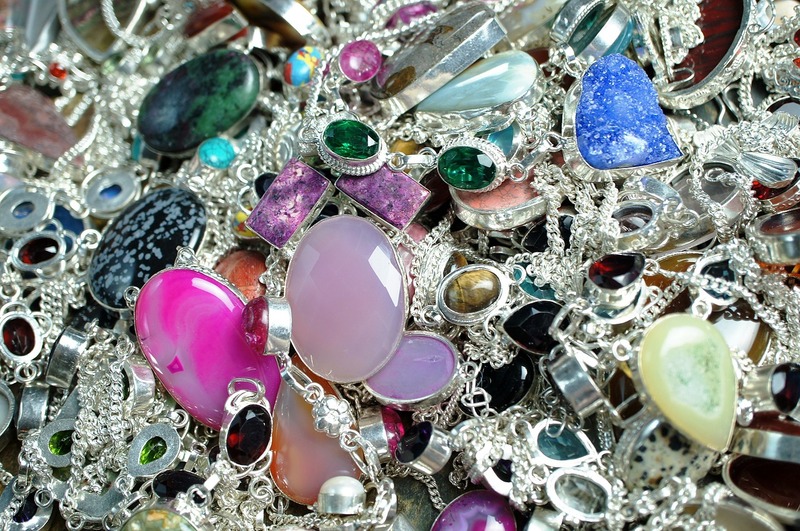 As far as most people know, gemstones and other forms of jewelry don’t have or haven’t exhibited any inherent powers. Wearing one or more trinkets won’t protect you against bullets, natural disasters, or bad luck. Still, that doesn’t mean they won’t help you reduce your stress levels. In fact, the things discussed above prove that in their own way, jewelry can help you let off any steam caused by stressful circumstances. And they’re doing that while making you look and feel good about yourself.